Richard has spent most of his career in the Building Sector and Engineering Services in senior and executive positions for blue chip companies. He has also run his own consultancy company and advised several leading American clients opening up operations in the UK. 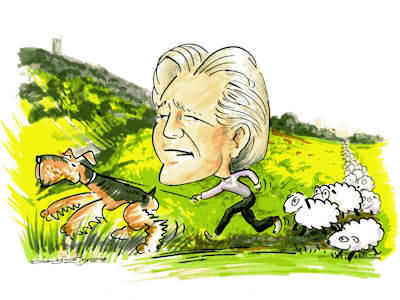 He moved to the Cotswolds 13 years ago when he fell in love with the region, and as a result, he and his wife Susan decided to buy and operate a guest house in Broadway for six years. He says - "it was a wonderful lifestyle change" and he loved, in particularly, being an Ambassador for the Cotswolds with the International Clientele' that he and his wife regularly entertained. Richard decided to start the website Cotswolds.Info five years ago to market the Cotswold brand as a whole unified region and not split by vested County interests. He says "the Internet is a fantastic medium in which you can achieve a world wide audience and make a big difference!". 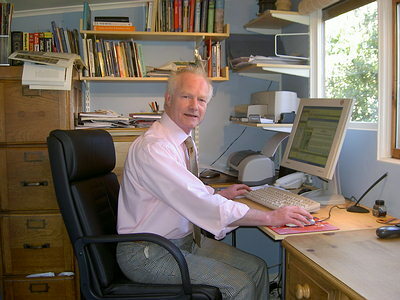 The site www.cotswolds.info has now grown to achieving 6500+ unique visitors per day and over 10,800,000 hits per month. Telephone enquiries for Cotswolds information have grown to 30+ per day. The website has now become so popular that Cotswold businesses regularly ring him requesting assistance regarding marketing their business on the Internet and how to be best represented on the site. The frequent testimonials from businesses who are already advertising bear witness to how well the web site is working for them. Due to the business expanding so rapidly Richard has decided to bring in help with the Marketing and he is pleased to announce that John Rayson, a previous high flyer in the retail world, has now joined the company. We welcome advertising enquiries and any time you can spare in giving us your comments on this website and in particular details of any broken links or difficulties you have found in navigating the site. Also please let us know of information you personally would like to see added to the site. Please enter your comments in the form below - thank you. If you want to add value to your own website and increase your rankings with the search engines then please feel free to link to us by using the wording "Cotswolds.Info - the worlds largest Internet resource for one of the most beautiful and unique regions in the UK where time has stood still for 300 years".